DSE Music Tuition supplies instrumental music teachers to primary and secondary schools, at no cost to the school. Musical education is currently undervalued by many schools, with some not even offering a standard music curriculum for students which is concerning considering the recognised advantages of musical education and the benefits to students from increases in learning capacity, problem solving & maths skills to written & verbal communication, self esteem and so on. 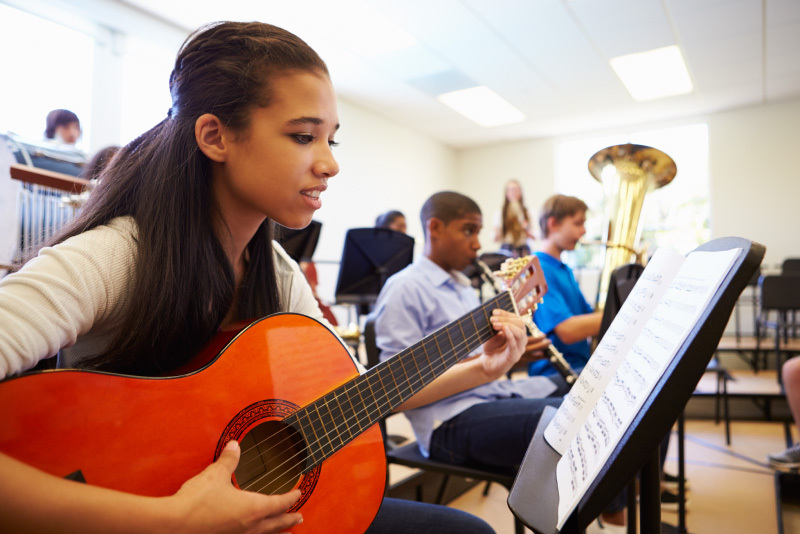 Your school can now offer your students piano, guitar, drums, singing & clarinet lessons at not cost to you as we supply instruments, teachers, handle enrolment & scheduling. The school gets a wonderful addition to its curriculum (and some very happy students & parents). We are based on the Mornington Peninsula and teach in schools, both primary & secondary. Our teachers are caring & passionate with WWC, Police Check, and all the required insurances to work within the schools we service. We are experienced with school management systems such a Compass and are working to change the face of musical education by providing a highly organised, dependable & quality service to schools & their students. Usually all the enrolment, scheduling & payment is taken care of by us, with the school simply providing a room to conduct the lessons. We can create a nice simple enrolment form on our website which we can advertise & the school can send students to for all the info & enrolment. We offer half hour instrumental lessons and our teachers all teach ‘theory’ (reading & writing music) as part of the lesson, something that is sadly overlooked by many teachers these days, but is an incredibly important component of good tuition. We supply all learning material to students from sheet music, to theory work sheets, audio of songs, etc. and updates & advice to parents. We are very experienced at managing the schedules of students & liaising with both the school & parents to ensure our lessons run smoothly and provide genuine value to families. We have a great website and social media following across which we proudly promote schools with which we are in partnership. We would love the opportunity to work with you to make the best possible musical education available to your students, so please get in touch via email or phone us on 0416 586 483 and we can get you started straight away. With no cost to the school there is no reason to not offer instrumental music to your students!